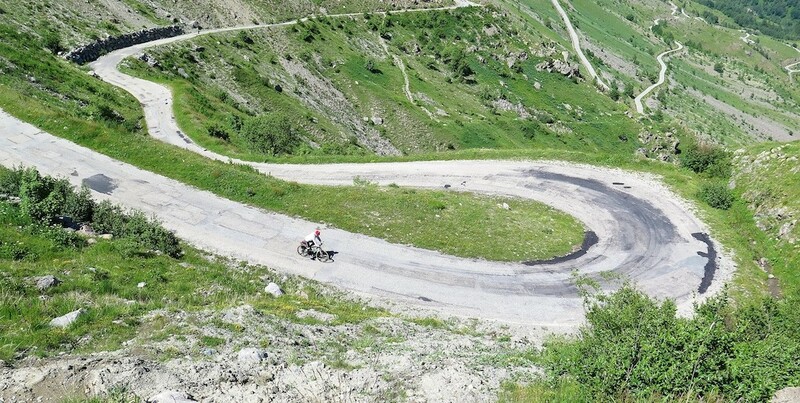 The legendary 21 Hairpins of Alpe d’Huez are climbed every year by tens of thousands of amateur cyclists. 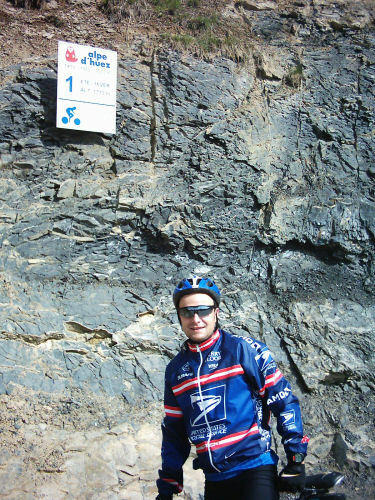 I had goose bumps the first time I climbed this biking Mecca. 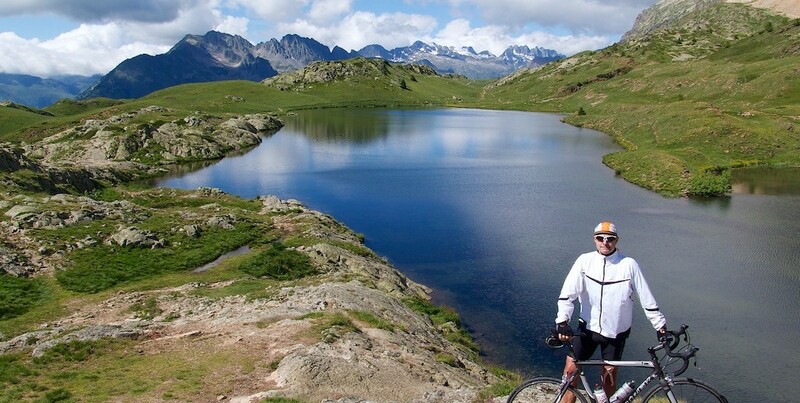 But many people don’t realize there is a lot more to do than just climbing the usual Tour de France route. Of course, if you are short of time, this is the route to choose. This is the route the pros do. Each of the 21 hairpins are labeled and named after a former stage winner. FYI, Often there is a pro photographer just before the finish. Remember to smile and act like it’s easy. Tip for your first time: The first two kilometres are brutal. Make sure to warm-up before beginning the climb. And don’t let the excitement make you start out too hard. 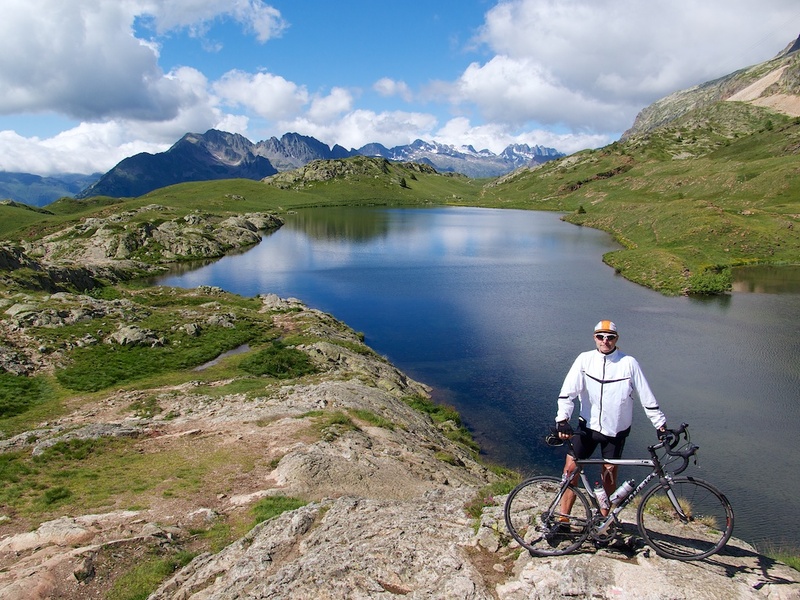 After you have finished congratulating yourself for climbing Alpe d’Huez, think about continuing up to Col de Poutran and Lac Besson above the town. Another extension after climbing the classic route: think about continuing onto the beautiful and remote Col de Sarenne. The route is do-able on a road bike but it is fairly bumpy in places. Starting in Bourg d’Oisans, head south towards Col de Lautaret. After crossing the dam, turn left towards Mizoen and Sarenne. After reaching the Col you can descend towards Alpe d’Huez. 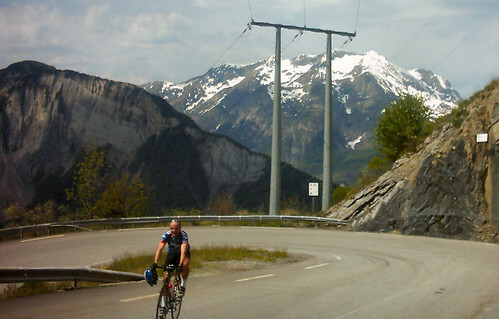 Of course this can be a loop, by further descending back to Bourg d’Oisans down the classic route. Really like the site. I am camping near Alpe D’Huez in July so will try these rides out. Should be a little more challenging than my usual riding in the Peak District in England. 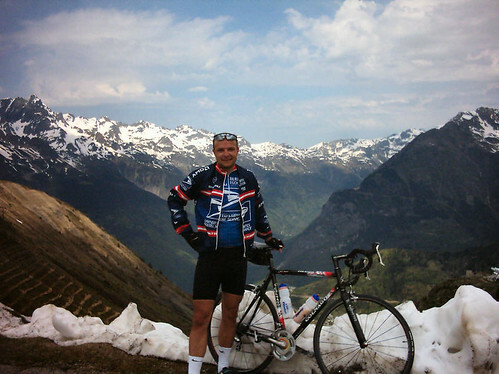 I would like to rent a bike in Bourg d’Oisans on July 9 to climb the Alpe d’Huez. Do you know how hard it is to get one since they don’t let you reserve bikes. My understanding (not 1st hand knowledge) is that they have quite a few and rarely run out BUT July 9 is a busy time …. maybe show up early? Possibly have a look in Grenoble? Will – Thanks for putting together this information. 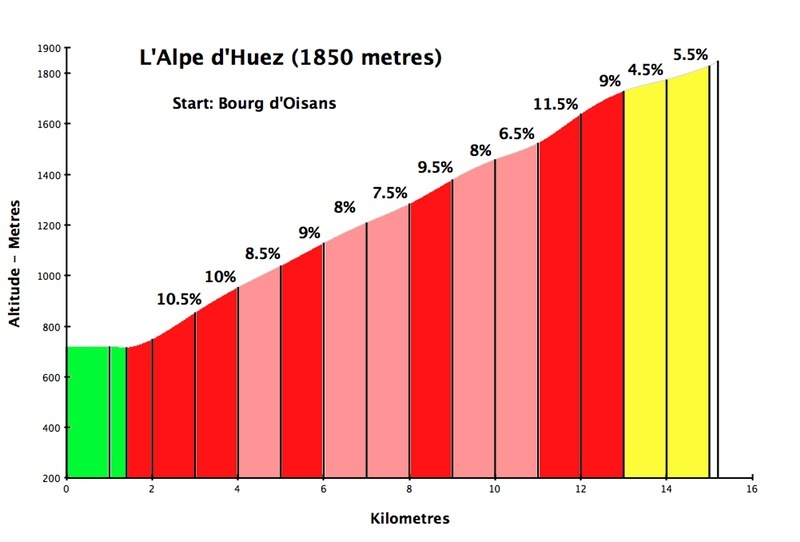 I’m finally going to climb Alpe d’Huez in September after dreaming and thinking about it since the 1970’s. 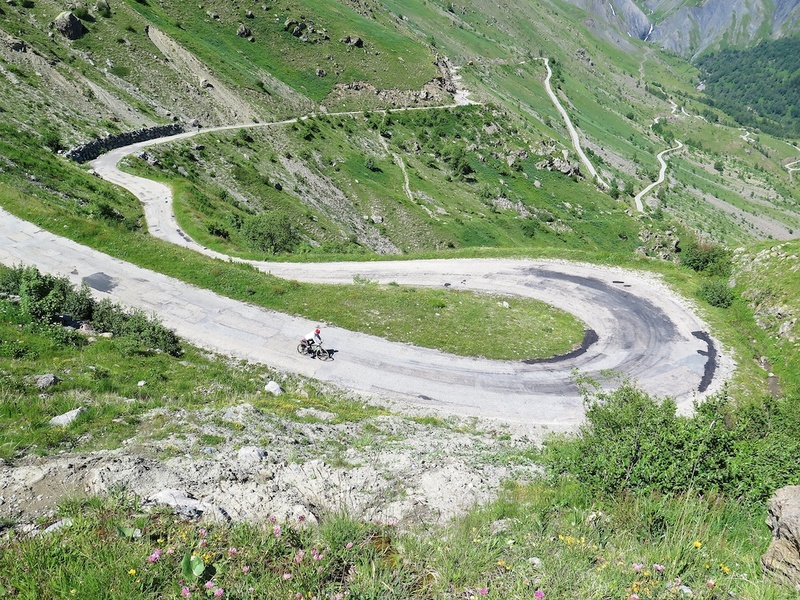 I’ve been pouring over maps and thinking about what route to take once I reached Alpe d’Huez. Based on your information, it sounds like proceeding over the Col de la Serenne will be a nice way to return to Bourg d’Oisans. I’m also planning to do some of the ‘balcony’ roads (D211a and D211b). It sounds like the approach from Rochetaillee would be a good way to see the scenery on the D211b without doing the climb to Alpe d’Huez again. I dream almost nightly of the magic of L’Alpe. I can’t wait to go back and do ALL of these routes. Hope you’re training hard for the mont ventoux at night challenge. 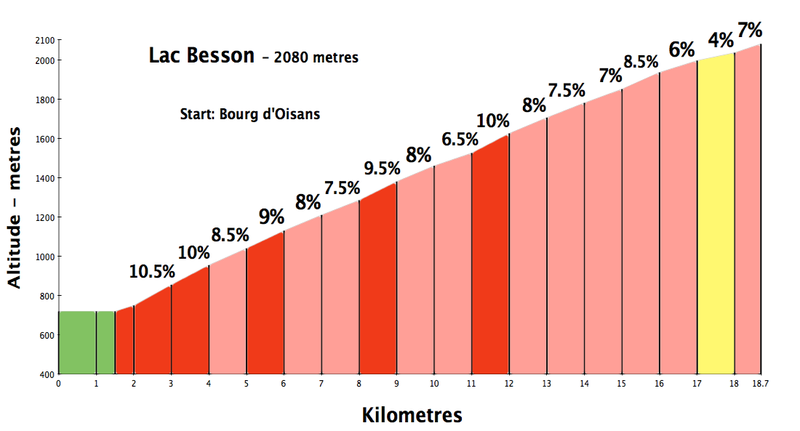 Just a quick one, is the surface on the ride up Col de Poutran and Lac Besson suitable for a normal road bike? or would I require stronger tyres etc? The road is paved. Last time I was there it was in pretty mediocre shape. But it’s well worth a leisurely detour after climbing Alpe d’Huez. Thanks for the web page and the info. I may have the opportunity to visit ADH in late November this year as a detour from a work trip to Milan. Is it possible to do the climb then? How cold is it going to be? Snowing? And as a complete newbie – can you hire a bike and shoes to suit nearby? I’m flying in from Australia so won’t be able to lug much gear there. Yes, Alpe d’Huez will be open as there is a big town at the top. How cold? who knows? Sometimes warm in November, sometimes a metre of snow. Bring very warm clothes for the descent. You should be able to rent a bike at one of a couple of large bike stores in Bourg d’Oisans, although I don’t know how open they are in November. If you are trying to drive all the way from Milan, make sure you check for road closures as many of the passes into France may be closed due to snow. The Fréjus tunnel however should be open and may be the best bet. PS – it’s a long way to drive just for Alpe d’Huez ……. 🙂 Maybe some fun options closer to Milan? Linking route 3 with route 5 makes a nice daytrip. About 60 kms. I’m planning on riding it in May. Will it be safe to ride, or too snowy/icy? Second week in May? One can never predict the weather but CURRENTLY the road is perfect and the weather warm, so May should hopefully be fine if it doesn’t rain. It’s kept cleared all year so as long as there has been some sun for a few days, even in the colder months it’s often OK. Yes, I’d suggest a triple. There is nothing worse than not having the proper (easy enough gearing). I use a triple. Fromm Geneva, it’s about 15 euros on the toll roads. Geneva –> Annecy –> Chambery –> Grenoble –> follow signs to Briancon — which then turn into Bourg d’Oisans signs. 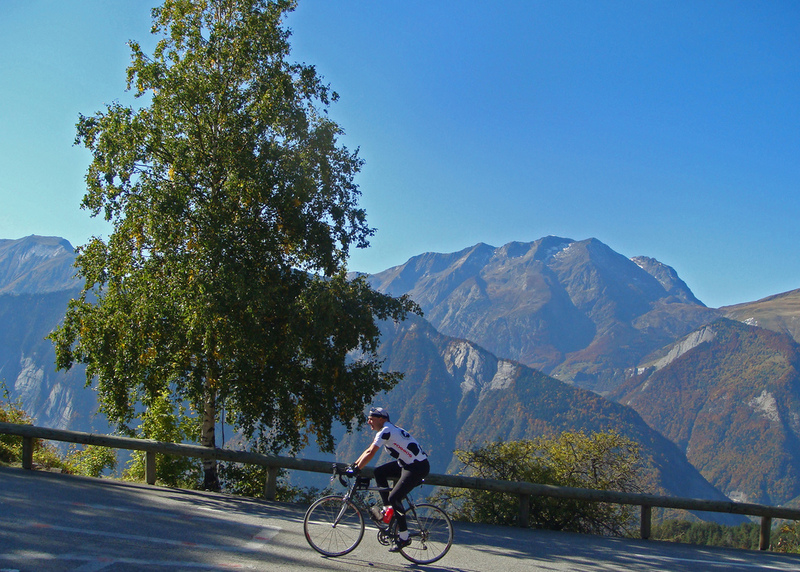 It is the name/myth of the Alpe d’Huez (http://youtu.be/DuJpVuqOO48) that makes it a must do, Coll de Sarenne is ten times nicer! Another nice one is: Route de la Roche d’Auris (http://youtu.be/cgH9n2pGxCo). I just want to thank you for this very instructive page. I shall be going up the easy way first. October is very late in the season. I have ridden it in October in short sleeves. But there is certainly a big chance of very cold weather and or snow. August or early September would be a safer bet if you are travelling a long way. Im interested in taking on a few challenges this year over the summer and am aware of the Mt Ventoux ‘Cingles’ challenge but does anyone else know anymore that are out there at all?? Would be really interested in getting a list together and having a crack at some of them if so. 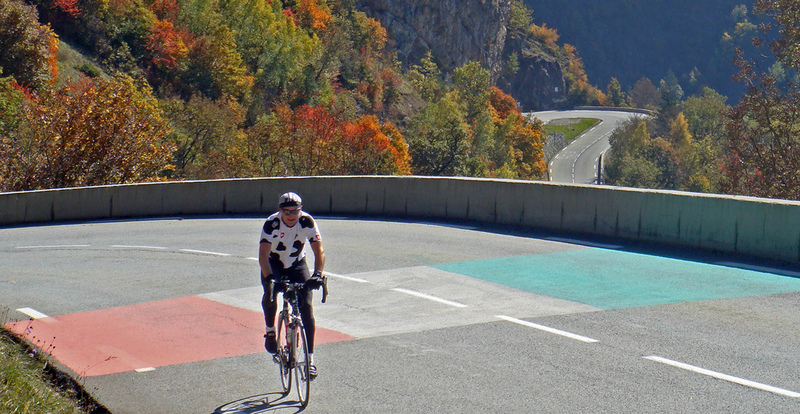 Probably the only other challenge like “all-three-sides of Ventoux ” is to cycle all four sides of Grand Colombier. There is an active club web site for anyone that can succeed. See link below for lots of details. Thanks Will, it sounds great, ill check it out further later on! If you or anyone else knows of anymore challenges of a similar fashion then i’d appreciate the heads up. How far are these from the TdF finish point please? It’s just 4 kms or so extra. Worth the effort.